As a skilled negotiator and advisor with great instincts, Susan works diligently to bring transactions to a successful completion. Susan Gilberg, a Licensed Associate Broker and consistent top producer, is committed to providing exceptional service to buyers and sellers of fine property. She ensures an effortless experience, guiding her clients through the entire sale or purchase process from beginning to end. Susan is devoted to achieving extraordinary results, and is able to reach the best possible outcome by drawing upon her powerful negotiating skills, strong instincts and keen understanding of the trends and conditions as well as economic factors that affect the marketplace. In addition, as a part of the worldwide Sotheby’s International Realty affiliate network she is able to deliver exposure for the properties she represents before a qualified base of clients in key markets across the globe. She is an expert in utilizing the most sophisticated tools and technology to effectively market her listings. Susan has frequently been recognized for her outstanding performance as well as her excellent service, receiving numerous sales awards over the course of her 15-year career in real estate. 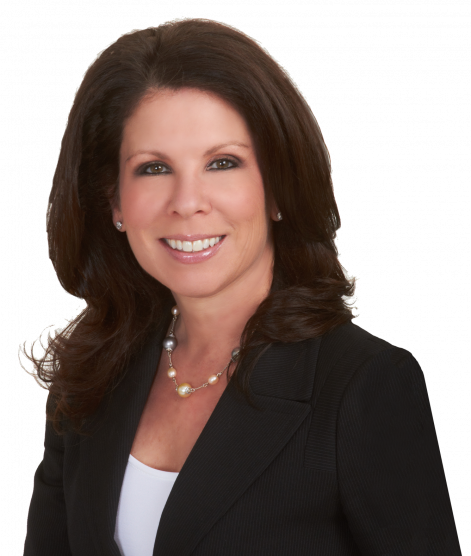 Specializing in properties in Harrison, Purchase, Rye Brook and Rye, Susan has represented buyers and sellers throughout all of Westchester County. As a lifetime resident of Harrison, Susan also has an intimate connection with Westchester County. She has proven an invaluable resource for clients, offering deep knowledge of the local communities as well as area schools and amenities. Susan brings the successful negotiation strategies, smooth transactions and superior service for which she is known from her prior experience as a top producer with Northwestern Mutual Life Insurance Company. There, in her first year out of college she won the Mike Gish Award, an honor presented to the highest producing sales agent in insurance and investment products. A graduate of Harrison High School and Syracuse University, Susan now lives in Harrison with her three children, including two with special needs. Staying involved in her community is important to Susan, and she is a board member of Heartbeet Lifesharing, a residential community for adults with developmental disabilities. In her spare time, she enjoys exercising and traveling. Susan’s professional affiliates include the Westchester County Board of Realtors, the National Association of Realtors and the Westchester Putnam Multiple Listing Service. We never thought that we would find anything that fit the description of what we wanted, but she was always optimistic and said that it would eventually happen, and it did! When it came to selling our old house, Susan’s experience and knowledge of the current market helped us to sell our home. She gave her advice when it came to showing the house, and when it came to pricing, she explained to us the what helps make a house sell within a reasonable amount of time, and what can make a house just sit and become “stale”. The time and effort that she put into marketing our house was something that we truly appreciated and it certainly paid off! Susan, in our opinion, went above and beyond what we thought a realtor could ever do. Not only is she an excellent realtor, but has become a good friend. We consider ourselves extremely lucky to have met and worked with her during this exciting time in our lives. If it were not for Susan’s help, we may never have bought our first apartment. We were originally dealing with an agent who was unreliable, and was not willing to accommodate our hectic schedules. Our friends, who had just purchased a condo, highly recommended Susan to us. Only seconds after we had sent her an email asking her to be our agent, she called us back! Susan’s immediate response made us feel that she would be the one to help us get our first apartment. Susan surpassed our expectations. She helped us find an attorney, giving recommendations on various ones in different price ranges. She effectively negotiated the apartment’s price and was always available when we needed her advice on various apartment related matters. Susan has a pleasant demeanor and is very easy to work with. We were only purchasing a one-bedroom apartment but she treated us as if we were buying a mansion. Regardless of our endless lists of questions Susan always stayed calm, professional and friendly. We highly recommend Susan and her services, and feel extremely lucky to have had this amazing lady help us get our first home! Susan is the person we will call once we are ready for an apartment upgrade. Many thanks for all your help as Eric and I prepared to sell our home. As you know, it was such an emotional experience for us. Yet your professionalism and atten- tion to detail helped alleviate the anxiety that oftentimes accompanies this process. We especially appreciated the time you took to answer all our questions. You were there for us every step of the way, taking our phone calls any time of the day (or night!) just to make us feel comfortable. And of course we were thrilled with the final outcome – the downturn in the market made us absolutely crazy – but your instincts were right on target. Susan Shaffer served as our real estate broker both when we bought and sold our apartment in Rye, NY as well as when we rented it. Susan is full of energy and brought her enthusiasm to every transaction she worked on with us. She is extremely professional and, as her clients, we knew that Susan was doing all that she could to help us achieve our objectives. If Susan was ever unsure of a topic, she quickly did what was needed to become educated on the subject. Susan is very competent and we recommend her unconditionally. Susan helped my husband and I in finding our first home. She listened to our needs and concerns and matched us with some really great places to choose from. She is very knowledgeable, and her easily understood explanations made us comfortable with the whole home- buying process. Her professionalism is top notch, and she promptly replied to us anytime we needed her. Susan also gave us helpful insights on choosing a lender. We found the perfect place, negotiated an affordable price, and, after the closing were able to sleep in peace. It’s almost two years since, and we couldn’t be happier! In the next couple of years, as our family grows, we will definitely look to Susan to help us find our next dream home.